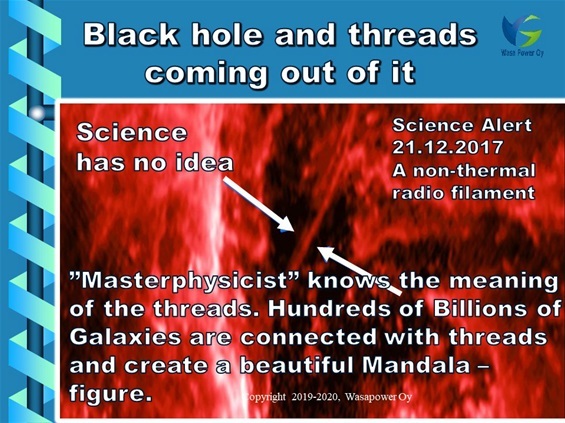 SCIENCE IS ALLERGIC TO "MASTER PHYSICIST"
Galaxies seem not to function according to Newton`s law. They are functioning according to the Quantum Physics. Andromeda -galaxy was behaving oddly as Vera Rubin told us. Very small and very large objects, like Galaxies, do not follow the laws of Newton. Only “Medium size” objects follow these laws. There are Quantum or Multidimensional laws, unknown to us, in the middle of every galaxy. The Universe is 12D and beyond. Black Hole is multidimensional. Our physics is aware of four fundamental forces. The first pair is the gravitational and electromagnetic force. The second pair is the weak and strong nuclear force. In the middle of the Galaxies there is a pair of unknown Quantum or Multidimensional forces. These unknown fundamental Quantum forces are probably connected with gravity and magnetism. Thus, there are totally six fundamental forces. We are living in 4D: Length, breadth, height and time. We are observing everything, also the Universe, through our 4D glasses. The black holes of the dynamic, living galaxies are constantly destroying old and creating new matter. Small Big Bangs are happening all the time. Entire galaxies may seem to disappear. Universe is however never really destroying anything - only rebalancing itself. Gamma – rays in these places are very intense. 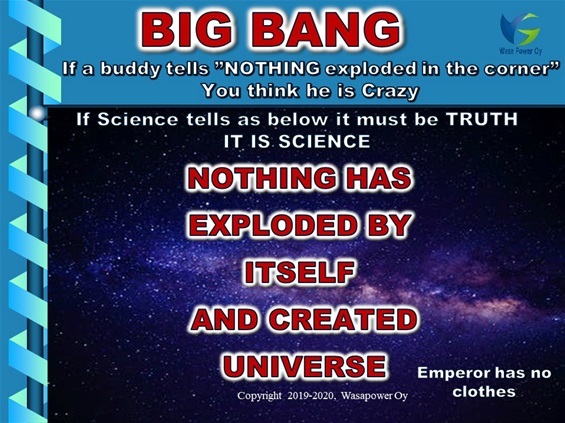 When hundreds of billions of galaxies seem to destroy and create new matter, red shift, mixture of elements and microwaves equate the Big Bang. Quantum or Multidimensional phenomena are in 4D invisible. In 4D we are very used to, that everything, including human beings, have their birth, life and death. In Quantum- or Multidimensional universe this not the case. Time does not exist.